If you make a list of some of the most beautiful travel destinations in the world, you will find Puerto Vallarta in the top ones. This Mexican beach resort city is famous all over the world for its beautiful beaches and unique events that are celebrated in the city throughout a year. The natural beauty of this place has attracted thousands of people not only from other cities but from other neighboring countries as well and it has now become the fifth largest city in the state of Jalisco. There are a number of reasons that this particular city attracts millions of tourists every year from different countries of the world. The sparkling blue Bahia de Banderas and lush-green covered mountains give amazing views to its visitors who come from far places just to experience the beauty of this city. Every year, millions of tourists from the United States, UK, Canada, and different other countries come to spend some lazy moments on the dazzling sandy beaches of this town. The delicious food in the stylish restaurants, quirky shops, and the picturesque scenes of the central streets add some spectacular moments in the life of the tourists. If you also love traveling and have your intentions to visit Puerto Vallarta soon, read the following interesting things to do in this city. “Playa Los Muertos”, located in the Romantic Zone of the city is one the most beautiful beaches in the world. This beach is perfect for swimming and different fun activities done near beaches. There is another beach called “Las Caletas Beach” that was once a private hideaway of the famous Hollywood director, John Huston. But now, the beach is open to the public is one of the favorite spots for both families and couples. Other beaches you can visit include, “Las Animas”, “Playa Quimixto”, “Mujahuitas”, and many others. To visit these beautiful beaches, you need to take a water taxi from Los Muertos Beach as there is no road connected to the beaches and they are still untamed and 100% natural. Bahia de Banderas is the largest bay in Mexico. Located on the Pacific Coast of the country, the bay attracts millions of visitors every year from far and wide. Being a visitor, you can do a number of activities here in this bay. You can simply enjoy sailing on charter boats with your friends and family. On the boats, there is also a replica of the Santa Maria ship of Christopher Columbus in which there is also an onboard museum in which you can see different artifacts taken from the time of the conquistadors. This park is a part of the UNESCO biosphere reserve and a RAMSAR site. To visit this national park is one of the things to do while on your visit to Puerto Vallarta. Some people just come to the city, approach to Mexico condo rentals, and go back to their homes without visiting this beautiful and amazing park. For the purpose of keeping the park clean and safe, there are only few tour companies that have been given a permit to visit this park. Since hunting and fishing are also not allowed in this area, you can easily see a variety of wildlife in this park. Whales, dolphins, seabirds, manta rays, and there are thousands of species of tropical fish that you can see in the clean water of this bay. The beachfront boardwalk, Malecon is one of the favorite spots of tourists. You will always see foreign tourists strolling in this area because it’s a mile-long walking area that stretches as an open-air museum. During your stroll, you will also get a chance to see the stunning collection of sandcastle art and sculptures near the Plaza Principal. If you are a food lover, going to Puerto Vallarta can be the right decision for you as the city has got a number of restaurants that serve both local and international food. There are more than 400 restaurants in Puerto Vallarta and each of them has its own taste and quality. You can enjoy weeks and weeks just by visiting different restaurants, tasting local dishes of the city. Puerto Vallarta also attracts tourists through its remarkable adventurous sites and activities. If you are a true adventurer, you would love to go upside down through the rainforest using zip-lining. There is also a perfect setting for hiking and bird watching called Sierra Madre Mountains where the unspoiled tropical rainforest can give you a perfect hike. 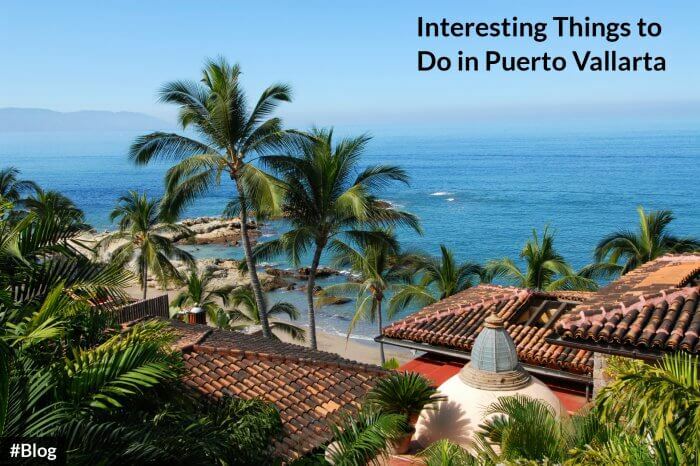 Thus, Puerto Vallarta is one of the tourist spots where people can find whatever they want. From beautiful beaches to delicious food, adventures to romantic zones, the city offers you a complete package to spend your vacations here in this heart of Mexico!